avant garde design: office idea. 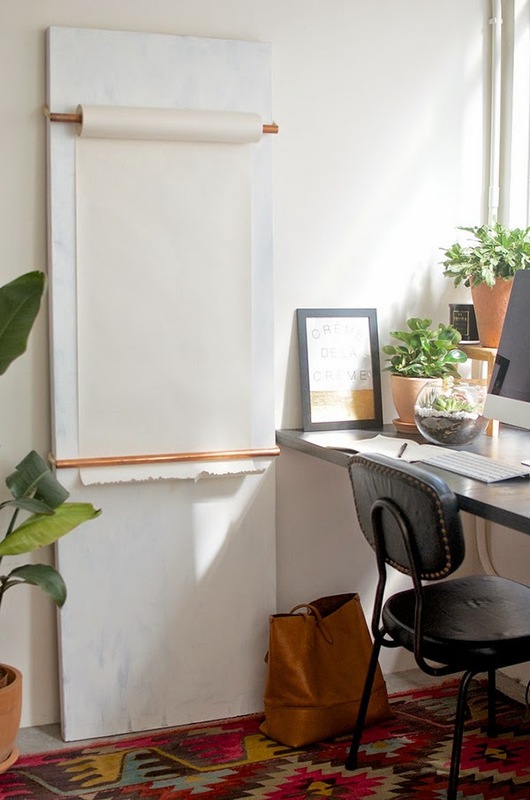 many offices (home or otherwise) utilize dry erase boards to generate creative ideas, list projects or to sketch out future designs, but what about this never-ending roll of paper as an alternative? to actually sketch, to visually see ideas come together and then keep them as "hard copies?" i LOVE it!